FULL VIDEO: Pacquiao-Mayweather final press conference - Balita Boss! 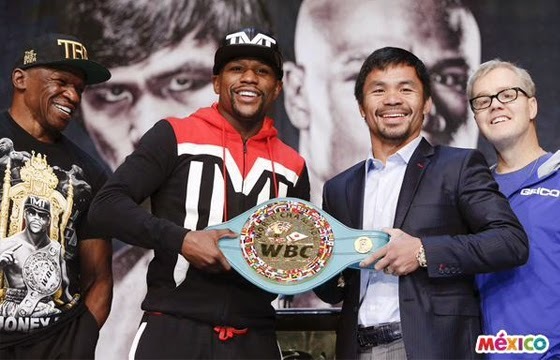 Watch as boxing superstars Floyd Mayweather and Manny Pacquiao participate in the final press conference before one of the most anticipated prizefights in boxing history. Floyd Mayweather Jr. and Manny Pacquiao met at the final press conference at the KA Theater at the MGM Grand on April 29. The two fighters will briefly meet again at the official weigh-in on May 1. Then it's rumble! The much-anticipated boxing match, the so-called “Fight of the century” happens on Saturday, May 2, at the MGM Grand in Las Vegas.